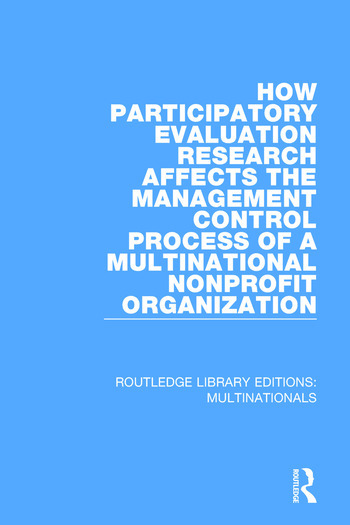 This title, first published in 1993, addresses two questions: can evaluation research function as a surrogate market in non-profit organisations to measure, value, and assess the goods and services they provide? And second, can the findings from an evaluation process be incorporated as a service accomplishment element into the accounting information published by non-profit organisations? This title will be of interest to students of business studies.